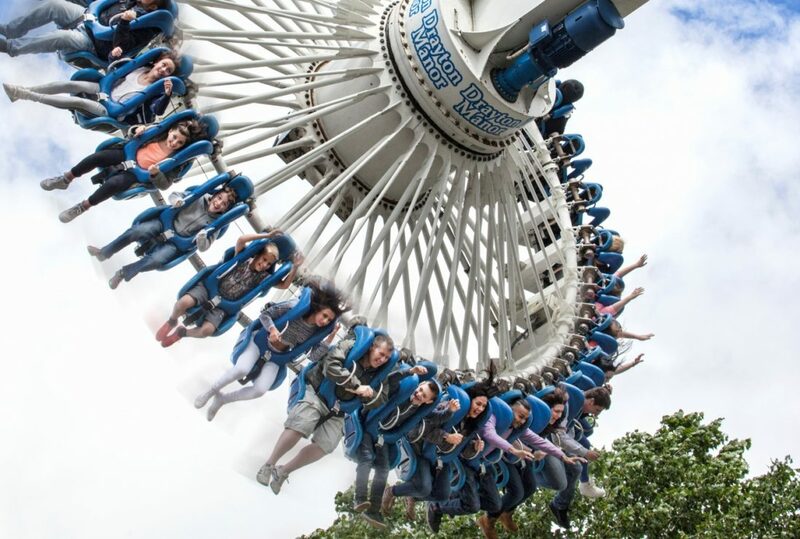 The annual National Attraction Marketing Conference was held at Drayton Manor in March this year. Each year the conference brings together attractions from across the country to enjoy a wide range of presentations and get tips for smarter marketing. I always find this conference incredibly valuable both for the fascinating insights from the guest speakers and for the conversations that I have with attractions. The wide range of presentations provided some interesting food for thought again this year and I’ve put together my key takeaways for attractions looking to take their marketing to the next level and make the most of every opportunity. Knowing your audience is central to any marketing strategy, but how well do you really understand your audience? Do you know where they spend their time, what inspires them and what motivates them to take action/book/visit? Many attractions have the same problems – small teams and minimal budgets. But are you making the most of every opportunity? For instance, are you eligible for a Google Grant? The application and management can seem daunting, but partnering with an experienced agency will make it well worth your time. Google Ads are great for converting people with intent and the access to a grant of $10,000 per month provides huge additional benefit. Are you making the most of your space with events? Stephanie Duncan of Blenheim Palace spoke about the decision to open all year round. It wasn’t easy, but it has reaped dividends. Carefully planned events can add huge value and bring in new audiences who may not have visited with the normal offering. They are also a way to encourage repeat visits from your regular audience. The Drayton Manor Hotel provided a great location and it’s amazing to see how the park has developed over the years. I love the fact that it has remained family owned and operated, but I believe the key to their success is that their offering and marketing strategy has kept evolving. Their key investment into Thomas Land increased their visitor numbers by 300,000 in the first year. It also took them from a well-established regional brand to a national brand and extended their opening season. By introducing overnight stay options, seasonal events and corporate offerings they have grown their numbers each year. Their marketing mix includes traditional (tv and radio ads), digital (email, social and digital advertising) and new technology (geofencing and beacons). Ian Miller of Crafted made some excellent points about making sure that your digital offering is up to date with what users (and search engines) need. A faster website, for example, can make a huge difference to sales. A well known international broadcaster loses an additional 10% of their users for every additional second their page takes to load. Over the last year we have seen a dramatic increase in the percentage of attractions’ marketing budgets being allocated to digital at the expense of traditional marketing channels. Research presented by Nick How, Head of Tourism for QA, showed that 57% of attractions found that digital activity was most effective. Their main barrier to using more digital? 72% cited lack of time and 32% said that lack of in-house expertise was holding them back. So why are attractions spending more time and money on digital? Because that’s where their audiences are spending their time. People are spending more and more time online these days and they are becoming increasingly comfortable with online purchases. In addition to this, digital activity often has a far greater ROI and is much easier to track and optimise in real time. If you would like to discuss any of these points, please feel free to get in touch! You can email me on simon@digitalvisitor.com. Simon is one of the founders of Digital Visitor and has over 20 years marketing experience in the tourism sector, particularly with destinations and visitor attractions.